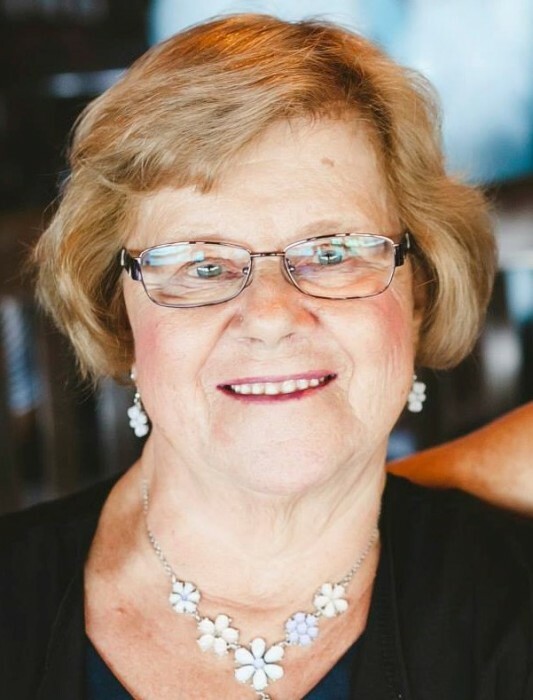 After a short but courageous battle with cancer, it is with heartfelt sadness we announce the death of Jacqueline (Fournier) Szabo, surrounded by her loving family by her side at the Welland Hospital on November 18, 2018. She is reunited with the love of her life the late Frank Szabo (2006). Loving mother of Carol Ann Szabo-Chypak (David Swann), Donna Lanteigne (Ron), Laura Infantino (John), Terry Szabo (Natasha) and Jamie Szabo (Gabrielle). She will be sadly missed by her grandchildren; Cara (Ryan), Jeff, Easton, Dana, Andrew, Tayler, Jordan, Noah, Kyera, Alyssa and her great grandchildren; Hunter, Payton and Aubreigh. Dear sister of Gaston Fournier (Barbara), sister-in-law Mary Fraracci and brother-in-law Louis Philip. She will also be missed by many loving nephews, nieces & friends. Predeceased by her parents Honoré and Marie-Anna (née Jean), brother Gerald Fournier, twin sister Jeannine Schryer, sister Denise Gauthier and her infant granddaughter, Paige. Jackie devoted her life to raising her five children, who she loved and cherished more than anything. She was also a mother to many countless others. She worked in the kitchen at the Welland Club for over 30 years. She loved to travel and enjoyed going to the Casino where she got her nickname « Jackpot ». Mostly, Jackie was the happiest when she was in the company of her family and friends. We would like to thank you all for the love and support from family & friends, the doctors and nursing staff at St. Catharines Hospital-3rd Floor and Welland Hospital-6th Floor. As well as, Father Guy Bertin Fouda & Pastor Rene Brochu for their hospital visits. The family will receive their relatives and friends at the WELLAND FUNERAL HOME 827 East Main Street, Welland Wednesday, November 21, 2018 from 2-4 p.m. and 6-8 p.m. Funeral Mass will be held at Église Sacré Coeur on Thursday, November 22, 2018 at 11 a.m. followed by interment at Holy Cross Cemetery. As an expression of sympathy, donations to the Canadian Cancer Society will be appreciated by the family.